Ever heard of a ‘Suspended Coffee’? It’s probably not what you imagine! Find out more about this simple act of kindness which originated in war time Naples. An oversized brown Italian moka coffee pot stands in a prime location outside the historic Gran Caffe Gambrinus, Naples, Italy. Inside there contains a number of marked receipts. Passers by may wonder why. But on closer inspection the answer is there in black and white and written in six different languages! 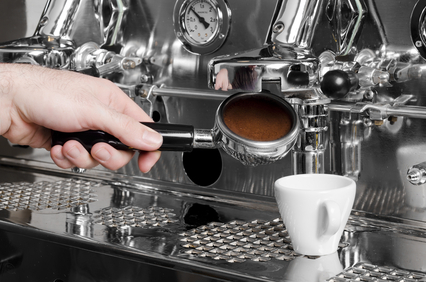 It is all down to the 2008 revival of Caffe Sospeso or Suspended Coffee. This joyous tradition began in the working class cafes of Naples, regaining popularity through World War 2 and revived again in more recent years during times of economic hardship. The premise is simple, a person pays for 2 cups of coffee. 1 for themselves and the other for someone, for whatever reason, who may be in need. The recipient can then just ask for a suspended coffee or present a receipt from the pot and order their free coffee. Both donor and recipient are anonymous. Now seen as a symbol of solidarity in the face of adversity, its’ surge in popularity prompted Irish construction worker and humanitarian John Sweeney to create the Suspended Coffee Movement and Facebook page which went viral. Whilst in 2011 the Neapolitan Authorities declared ‪the 10th of December to be Suspended Coffee Day especially to coincide with Human Rights Day. 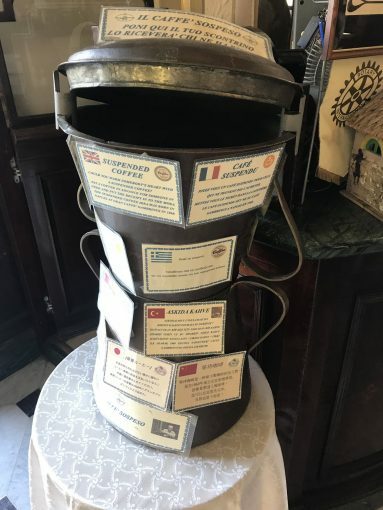 This heartfelt gesture combined with the Neapolitan coffee culture has continued to grow throughout Italy and to coffee shops and bars all around the world and it has come to symbolise not just a free cup of coffee but a celebration of a persons joy and happiness. 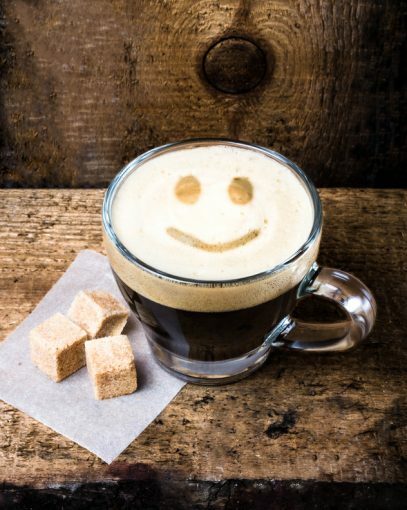 An anonymous act of charity or a gift of kindness and generosity, whichever way you look at it, a suspended coffee can surely make someone’s day just that little bit brighter!